"Democratic making decisions and experimentation" in the direction of dissertation of "Mathematical modeling of the political and economic processes in nation building." 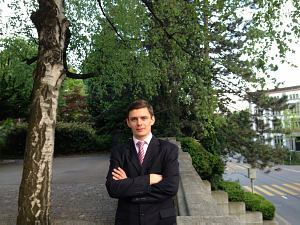 Defense was held on May 14 at the Swiss Federal Institute of Technology in Zurich. 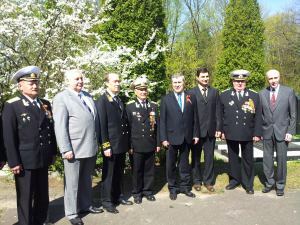 On the 9th May, the Day when the Soviet Union won the Nazi Germany in the WWII, Ambassadors of Russia, Ukraine, Belarus, Kazakhstan Embassy representatives took part in the ceremony of laying the flowers at the Brethren Cemetery in Riga. 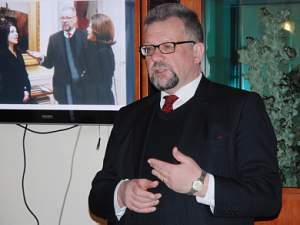 May 3rd Ambassador of Poland to Latvia Mr. Jerzy Marek Nowakowski held a reception on the occasion of the Constitution Day. The first Polish Constitution is the oldest in Europe. 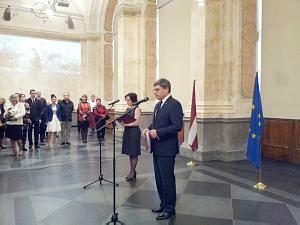 April 27 in Riga took place awards ceremony of the international competition of tourism films. Grand Prix of the festival and the first prize in the category of "Cultural Tourism" was the film of the Department of Tourism Dubai. 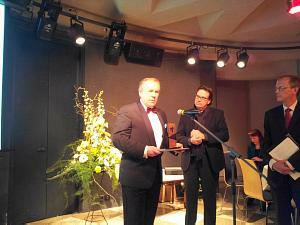 The award was received Sergey Kanaev, a representative of the DTCM Dubai in Russia, the CIS and the Baltic States. 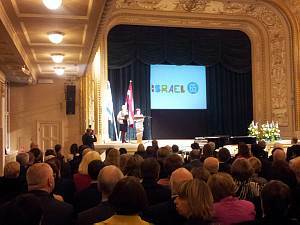 On the 18th of April in Riga, was held the reception of the Embassy of Israel in event of 65th anniversary of Israel independence. 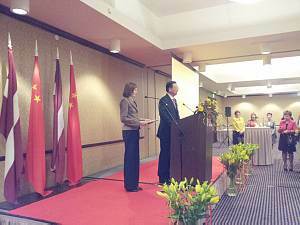 On the 18th of April, the new Ambassador of the People's Republic of China, Yang Guoqiang held a reception on the occasion of taking up the new post as the Ambassador in Latvia. 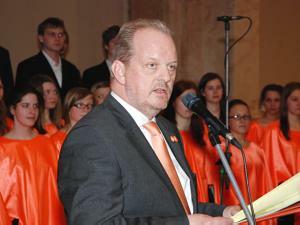 On the 4th April the Ambassador of the Kingdom of Sweden in Latvia H.E.Mats Staffansson was telling in the Club about the trade and economic relations development between our countries.